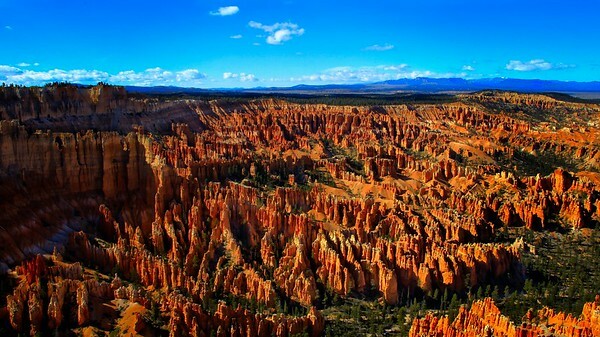 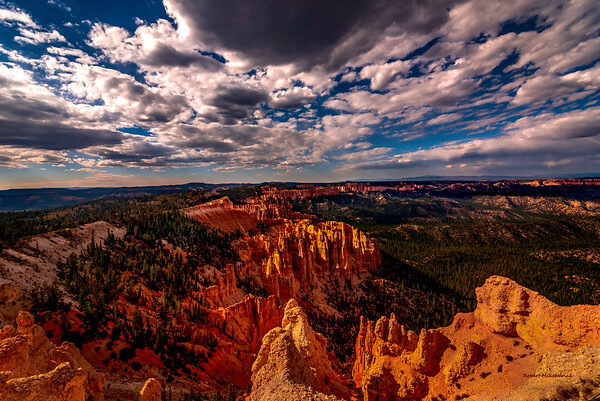 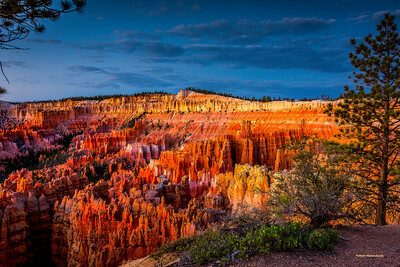 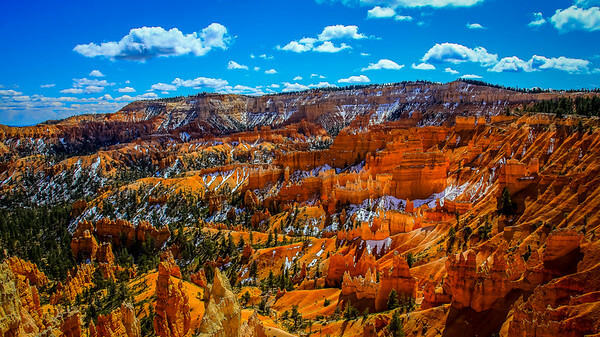 Beautiful from sunrise to sunset, Inspiration Point was named by early Utah settlers, and it’s easy to see why. 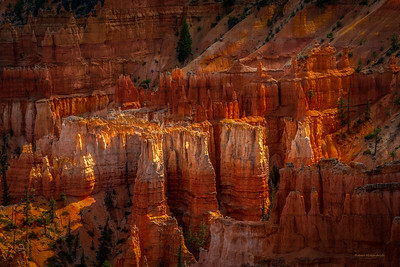 From here, the view stretches seemingly forever, as light catches the fins, spires, hoodoos and ever-eroding canyon walls. 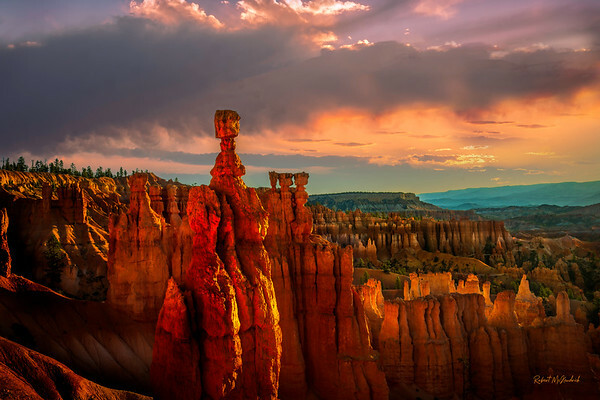 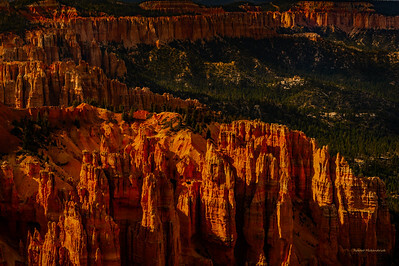 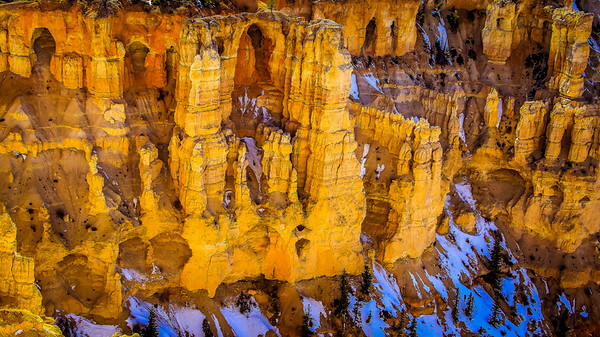 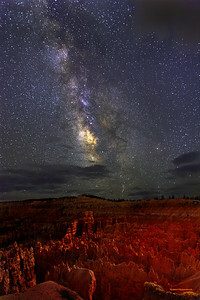 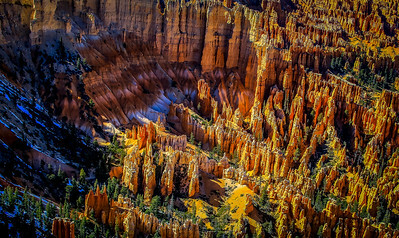 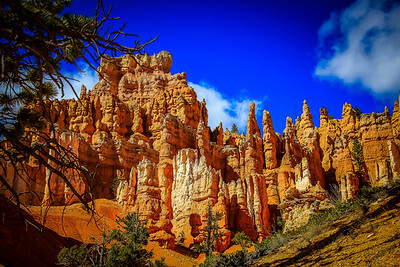 It’s like Bryce Canyon’s main amphitheater is on fire, glowing with reds, oranges, pinks and more. 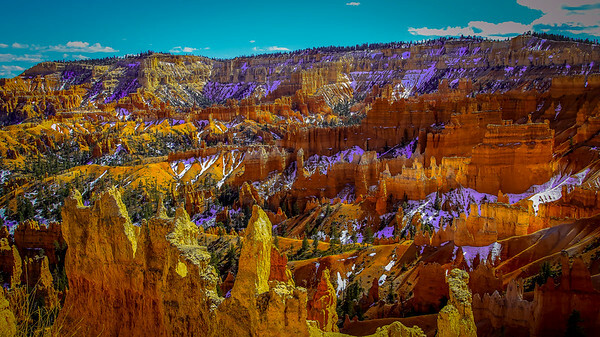 The Claron Formations Pink and White members are clearly evident here. 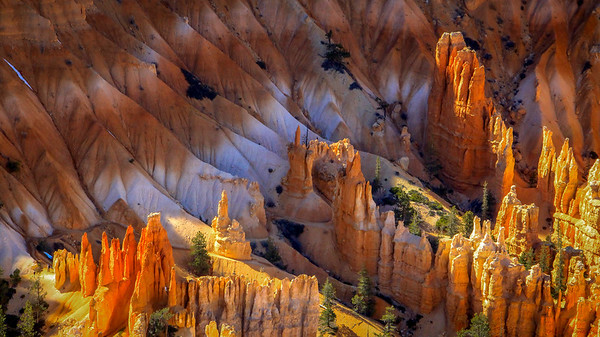 Bristlecone pine trees of mixed ages dot the red rock cliffs and slopes. 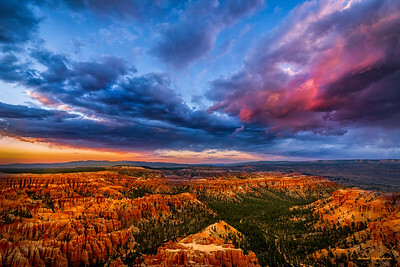 The sun has not clipped the eastern horizon and the glow of canyon walls begins.